Barrackpore (West Bengal), April 7 (IANS) Indian Army chief general Bikram Singh Sunday said "peace and tranquility" now prevails on the Sino-Indian border. "There is peace and tranquility on the Line of Actual Control with China. 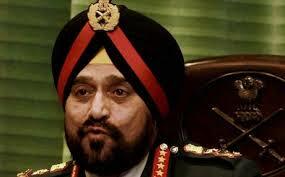 There is no problem," General Bikram Singh told the media on the sidelines of an ex-servicemen rally here.